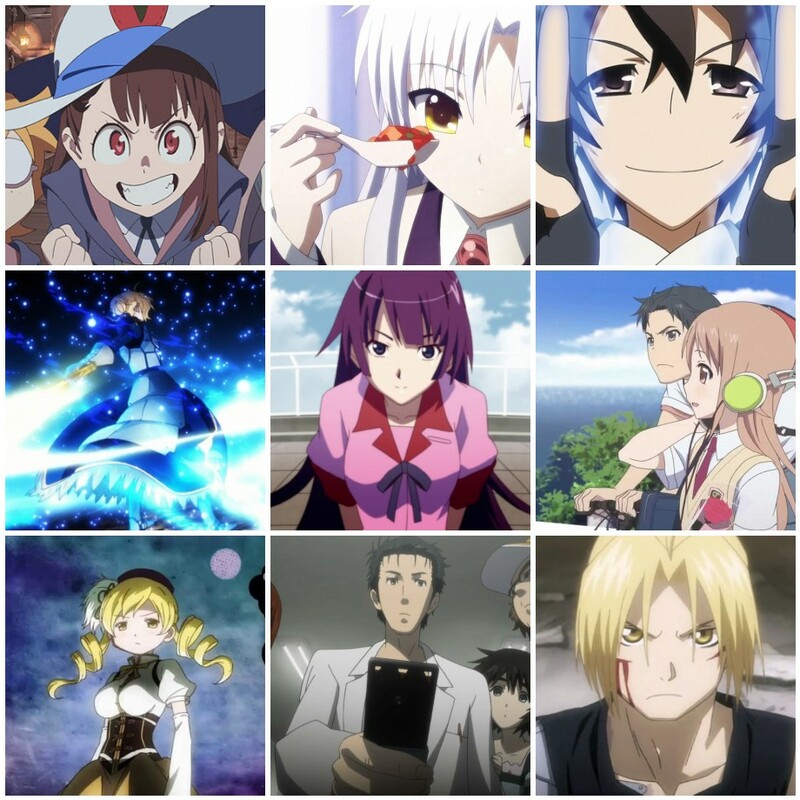 Welcome to Day 2 of the 12 Days of Anime Blogmas. While thinking about what to write, I felt compelled to talk about an experience I had with a show earlier this year, one that, frankly, made me fall in love. However, earlier this year, there was one show that managed to go above and beyond my expectations, becoming one of my favorite shows of the whole year, and one that i’ll probably rewatch at least once a year because of how utterly, surprisingly excellent I found it. A show about cute girls doing cute camping, cutely. Did I mention that the show is cute? Because it’s very cute. But far beyond the adorable exterior, the show does so much more than just fluffy moe; it’s a show that manages to warm the heart, through and through. And really, it’s something special. When I first picked up Yuru camp, I was a bit down because i’d been let down several times in a row recently by shows that, while appearing cute at first, ended up having as much substance as a ball of cotton candy. Tasty at first, yeah, but after a few episodes, the sweetness was almost cloying, while the characters themselves had very little substance to them whatsoever. Additionally, so many of these moe shows nowadays seem to rely on the same tropes, generally with yuri undertones and excessively cuted-out characters. However, Yuru Camp manages to escape this trap wonderfully, delivering an experience that’s light and fluffy on top, but with some real depth behind it. Now that you’ve got some lovely tunes to listen to while you read, let’s talk a little about our characters. Rin’s the sarcastic but somewhat silly, competent camper with an adorable hairstyle. Nadeshiko, the hyper one who never seems to get tired, and has a heart of gold. Chiaki, the bespectacled club president, always making plans, and sometimes actually succeeding. Aoi, the soft-spoken, well-meaning beauty. And Saito, the lazy but cheerful girl with the most adorable pupperschnupps! Well, it’s a fairly standard crew for this type of show, all things considered. And yet, every time they’re on screen, there’s something new, fresh, and undeniably fun going on. Whether they’re shopping for camping gear, toasting marshmallows, or just hanging out in their sorry excuse for a clubroom, there’s never a dull moment with these girls. I especially enjoyed how realistic many of the characters felt, at least to me. Usually with these types of shows, you get the “loner girl” who meets someone new, and is drawn into a club or a group. However, in Yuru Camp, Rin outright refuses to join the Outdoor Club, right to the very end. In fact, she usually camps by herself, or occasionally with Nadeshiko, until the very final camp of the show, when she agrees to go camping with the rest of the girls. And that’s something that I really appreciate about Yuru Camp; It respects its characters. Rin is never pushed or coerced into doing something she doesn’t want to do. She’s very introverted, so crowds really don’t suit her. She can do it once in a while, but more often than not, simply prefers to camp alone, or with one friend. There’s no reasonable explanation why she’d suddenly want to join the Outdoors club… but, there doesn’t need to be. Yuru Camp does this, again and again, subverting expectations in ways we’d never expect… and yet, ways that make absolute sense. With respect towards its characters, it never puts them into uncomfortable or compromising positions. The camera is always respectful (another problem that a lot of CGDCT shows tend to deal with…) and each character is allowed to express themselves the way they want. So while the base formula does indeed remain that of a cute, fluffy moe show, it ends up being a far more engaging and worthwhile experience. The characters, too, aren’t just little fluffballs of happiness (except for maybe Nadeshiko.) They have their faults and foibles, they like to mess around and get into trouble sometimes. They work part-time jobs while in high-school in order to support their hobbies, and they actively learn more about camping alongside us, the viewers, so we’re never left behind. Oh yeah, and remember those incredibly detailed and beautiful background shots? Well, each and every one of them relates to a real-world location, with an amazing level of accuracy. Check this out! All things said, I think the best way to describe Yuru Camp is “heartwarming”. I’ve never had a show, anime or otherwise, give me quite the same feeling as I get when watching Yuru Camp. A feeling like I just need to relax, curl up with a blanket and a mug of hot cocoa, and let Nadeshiko and Rin take me on a little adventure to a lake beneath Mt Fuji-san. And while the show might be a simple one, the utterly beautiful background art in every single scene never failed to give me chills. While it’s definitely not my Anime of the Year, or anything like that, I cannot deny that Yuru Camp affected me in a way I really wasn’t expecting, and while I wasn’t paying attention, i’d fallen in love with this wonderful little series. I hope that anyone that hasn’t given the show a try will do so. After all, you’re gonna need some warmth to get you through these winter months.